Birmingham City Ladies have signed midfielder Alex Windell from Women's Super League rivals Bristol Academy. The 24-year-old missed the whole of last season after suffering a ruptured anterior cruciate ligament last April. 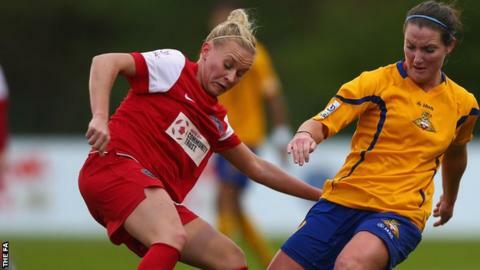 She played 19 times in the 2013 season to help Bristol Academy finish second. Blues Ladies boss David Parker said: "Alex is a player that has been monitored for some time and once the opportunity became available to bring her here, there was no hesitation."